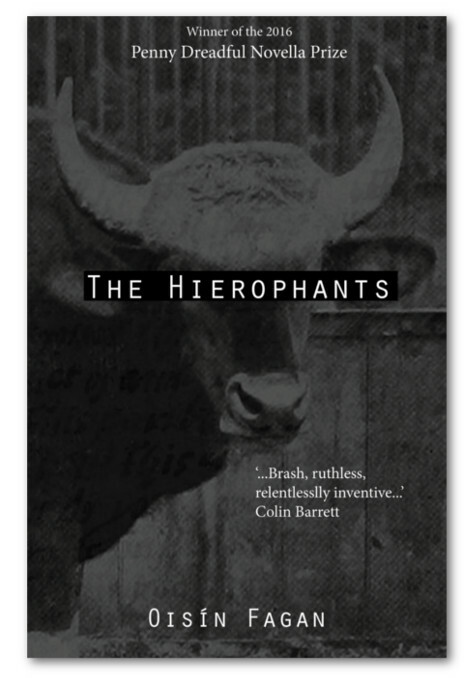 The Penny Dreadful Magazine and Dreadful Press are proud to present The Hierophants by Oisín Fagan, winner of the 2016 Penny Dreadful Novella Prize. The Hierophants centres around one disgraced, drunken, former academic and author’s tumbling descent into the murky Joycean underworld of modern Irish literary academia. Guided by the mysterious Professor Kaz, he seeks the answer to the most important question of his life and career, who are the Hierophants?